The mid-engined Corvette is the Loch Ness monster of the automotive world. The heavily-camouflaged object in the photos that inevitably wind up on car websites could be a Corvette. It could also be a floating tree branch. Nobody knows. And strangely, though Chevrolet has stuck to putting the big V8 motor under the long, muscle-car hood, the rumour that they are about to change it all is just about ubiquitous among fans of Chevrolet’s barn-burning sports car. But the time might actually be right for Chevrolet to reveal a mid-engined car, Corvette or otherwise. Here’s why. The Corvette finished 7th in class at Le Mans this year, a disappointing result at a race dominated by the battle between the Ferrari 488 and the victorious Ford GT — two cars with their engines in the middle. The mediocre result was not for lack of luck. While there were all sorts of problems with the competition, the C7 Corvette moved its way up from 14th to 7th with a perfect, problem-free run. But the pace required to podium was simply not there. If General Motors wants to once again succeed at one of the greatest races in the world, it may take a mid-engined clean-sheet design. The Z06, the performance variant of the base Corvette, has a long-standing reputation for offering supercar-humbling performance at a fraction of the price. 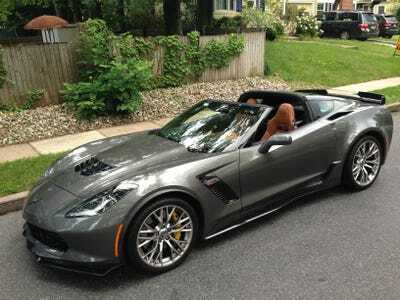 But the C7 Z06 of the latest, greatest Corvette generation may have squeezed all it can out of the design. Continuing to keep pace with the best may now demand putting the engine in the middle. Buyers who really want a traditional front-engined muscle car from GM would not be left wanting, however; the Chevy Camaro or Cadillac ATS-V are still excellent contenders. But the ‘Vette? That needs to keep up.